If you live in Houston, you know the importance of air conditioning. A couple of weeks ago, we walked into a stale house that was slowly simmering in the Houston heat. Our A/C went out. Luckily, we haven’t reached Houston’s hottest months, but it was hot none the less. 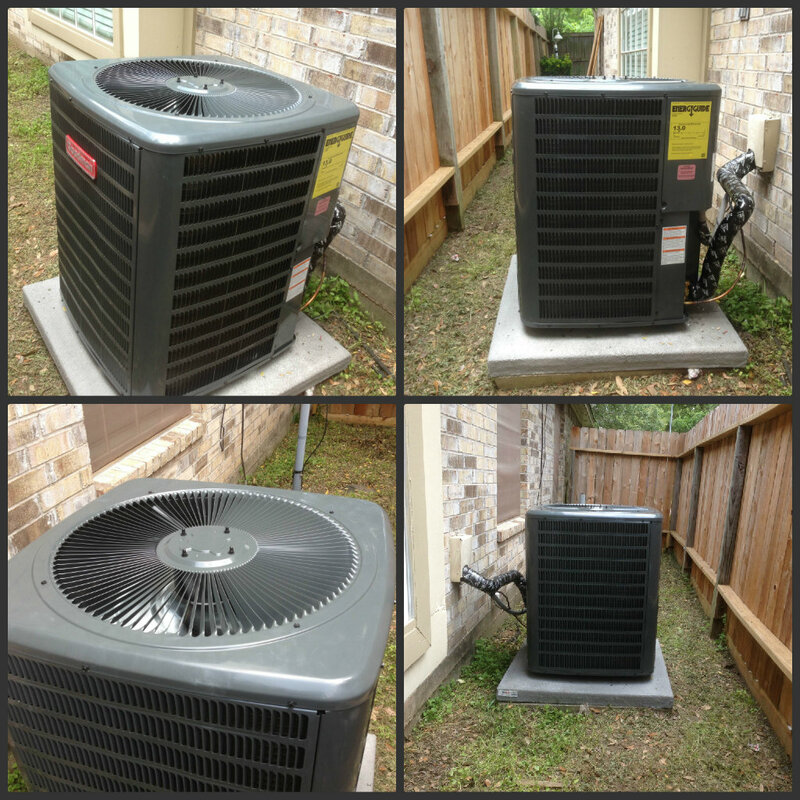 Months prior, our A/C went out, but my neighbor (who owns an A/C repair business) came over and did a quick fix for us that solved the problem… temporarily. I believe the A/C unit we have is original to the house, so it’s pretty old and we’re due for a new one. 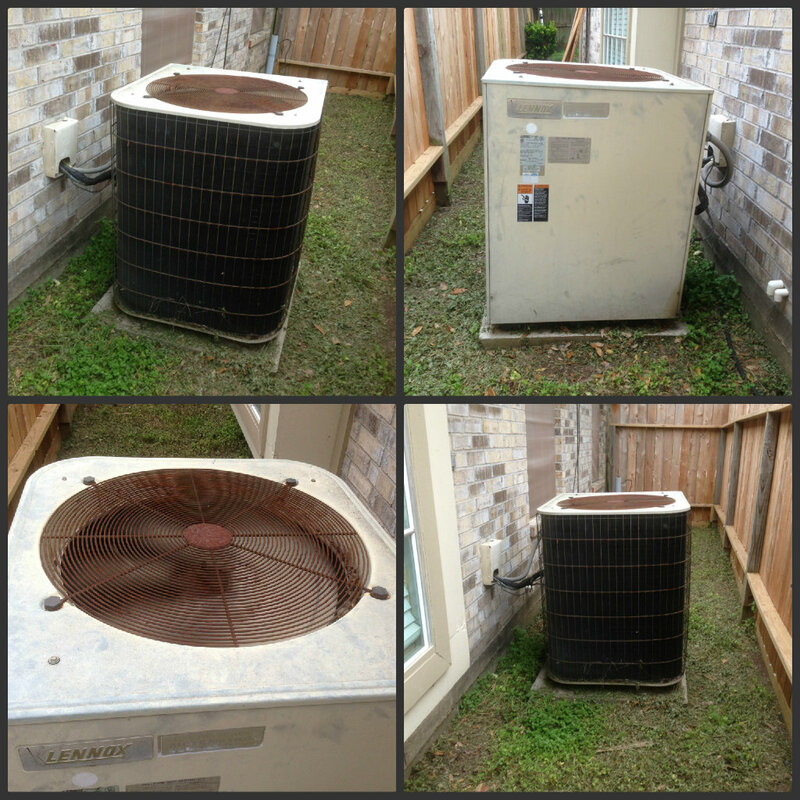 I was mentally preparing to replace the A/C on the first incident but the advice I got from both my neighbor and my good friend Tim Thomas was to let the old unit die out before we replace it. I’m glad I listened because I was able to milk out a few more months of life from the old unit (plus have those months to save up some cash for the new system). When the unit kicks on to cool the house, the whole neighborhood knows it. If you’ve visited us recently, you’ve probably heard it. At first I thought that it was simply loud to us since it’s right outside of our house. One day, I was outside of a friend’s house who lives a couple of doors down. Then I heard what sounded like a train having a head on collision with another train… it was my A/C! It’s time to upgrade. We got our new unit installed on Friday and it’s great! 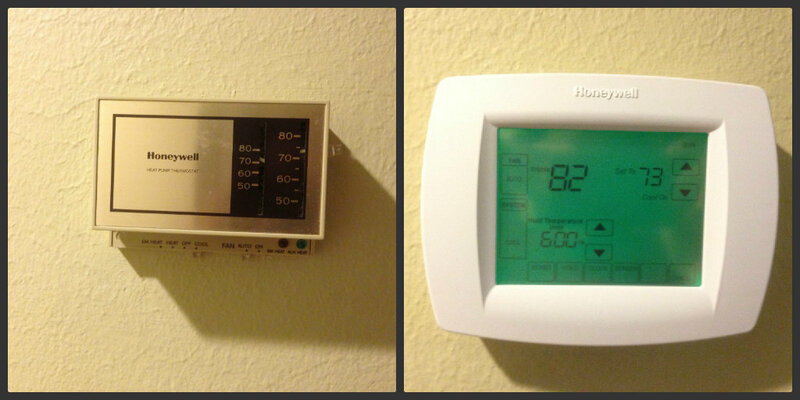 Although the house was built in the early 90’s, the thermostat looks like something from the 70’s! So we decided to replace that as well. The other parts of the system were replaced in the attic as well, but those aren’t as glamorous to look at, so I figured I’d spare y’all the pics. Now the house is cooler and quieter… I feel cooler… but my wallet feels lighter. How you are able to make ordinary events sound extraordinary and fun to read——–I will never understand! Keep it up buddy! !